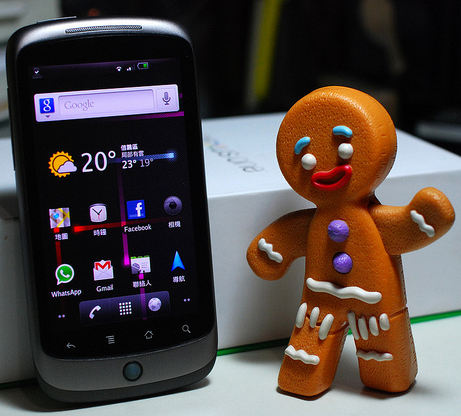 HTC Nexus One, the predecessor to the Gingerbread-sporting Samsung Nexus S, has been teased with the Android 2.3 over-the-air upgrade ever since Gingerbread was released. At the time, we anxiously waited for the upgrade that seemed to be imminent, but weeks flew by without any news. Then, Google said it was coming "in the next few weeks," but months slowly churned, and thousands of Nexus Ones owners are still GBreadless. How many times can you cry wolf before people stop listening to you? I don't know, but I hope this is the last time - Mobile Crunch reports that multiple sources, including Googlers on location at MWC in Barcelona, claim the 2.3 OTA is coming to our precious N1s by the week's end or early next week at the latest. We're going to side with most MC commenters and say we'll believe it when we see it - if "weeks" can last months in Google land, "end of this week" may just spill into June. In the meantime, we'll keep our eyes peeled for any signs of the update zip double time (hooah! ).